Storey Publishing, LLC, 9781580175524, 144pp. An outdoor shower is one of summer’s greatest pleasures. 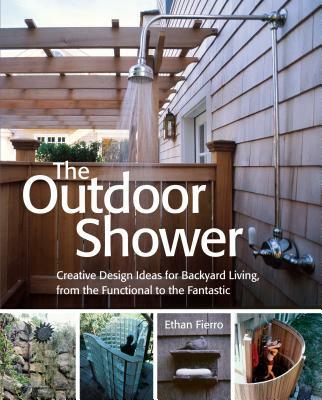 Providing practical building instructions for a variety of designs that range from a simple showerhead on the side of a cottage to a freestanding structure enclosed in frosted glass, Ethan Fierro shows you how to build an outdoor shower that reflects your unique personality and style. With an eye toward keeping costs down and environmentally friendly construction practices, Fierro will inspire you to create the shower of your dreams. Ethan Fierro is a designer and builder who specializes in Asianinspired designs for teahouses, meditation huts, lanterns, fountains, gardens, land sculpture, and stone arrangements. Currently, he works with Michael Singer, Inc. on large public sculpture installations. Ethan lives in western Massachusetts.